You hear the pros talking about "balancing your range" all the time, but what exactly does that mean in practice? In this episode, coach and cash game grinder Fausto Valdez shares his secrets for thinking about your range and the ranges of your opponents. How do we become less exploitable, while exploiting others at the same time? Valdez walks host Zac Shaw through a $1/$2 hand he played to dissect each decision and coach recreational players to think more like a pro when it comes to ranges. As poker players, our relationship with pocket aces can be intense. They are a beautiful sight, but we must wait so long for a glimpse. The moment becomes critical. Will our aces get cracked? Will this rare opportunity be squandered? There are a lot of "feels" to be had about pocket aces, and Dr. Tricia Cardner breaks down the science and psychology behind overcoming them. This is a mental game episode you won't want to miss. Kat Martin has been grinding $1/$2 in Vegas for years, and shares many nuggets of hard-earned wisdom for any poker player looking to take on the sleepless city's live poker rooms. Making a living in a place bent on taking away your money is no easy task, but Martin has made it work by carving out his niche, and perhaps you can too, starting with his tips for doing Vegas as a visiting poker player. What if everything you thought you knew about pot control was wrong? This week, Adam Jones explains why "pot control" is inherently flawed as a poker strategy concept. Through a series of hand history reviews, he'll show why attempts to keep the pot small through checking can be a big, exploitable leak, and what real profitable "pot control" would actually look like. When we suspect our opponent is capable of firing double barrel bluffs our way, how do we counter-attack? This week, we take a chapter out of Doug Hull's classic strategy book Poker Plays You Can Use and analyze a hand to answer the question. Hull even illustrates alternate lines, alternate board card scenarios, and dives deep into the math behind his decisions. If you've never experienced a coaching session firsthand, it can be hard to overstate just how much coaching can change your game. This week, Kris Murray (aka Persaudeo) stops by for a coaching demo that leaves host Zac Shaw floored with new poker strategy revelations. The two review a recent hand Shaw played street-by-street to ask and answer the question, "Why are you making decision X?" Buckle up for an extended episode and a fantastic ride-along with a top coach. Facing tough river decisions and big bets while holding non-nut hands... it's what no limit hold 'em is all about! Even though this will happen comparitively rarely in your session, these decisions have an outsized effect on shaping your win rate. It's critical you get these spots right. This week, three coaches review three tough river spots and break down each street to detail their strategic thinking. We've all sat down at the table full of super-tight players and been frustrated by a lack of action. But the key to profiting from these positions is to realize you're in a massively exploitable opportunity, and to get exploiting! On this week's podcast, James 'SplitSuit' Sweeney shares a chapter from his book Unfolding Poker, giving you some solid, specific tactics for crushing tight tables. Are you trying to improve your win rate? What about the value of your poker time? This week, James 'SplitSuit' Sweeney joins us to explore the many ways poker players can squeeze more value out of their poker time through simple mindset adjustments. Touching on strategy and mental game, this episode will give you a fresh perspective on how to accomplish your poker dreams and goals. We're back with another episode you'll want to listen to more than once, as Adam "W34z3l" Jones shares four questions that you should be asking before c-betting. We've done a few c-betting episodes in the past, so what's new this week? C-betting is a major part of poker and you can never know enough, but this week, you can take these four questions to the poker room this weekend and notice an immediate change in your game. 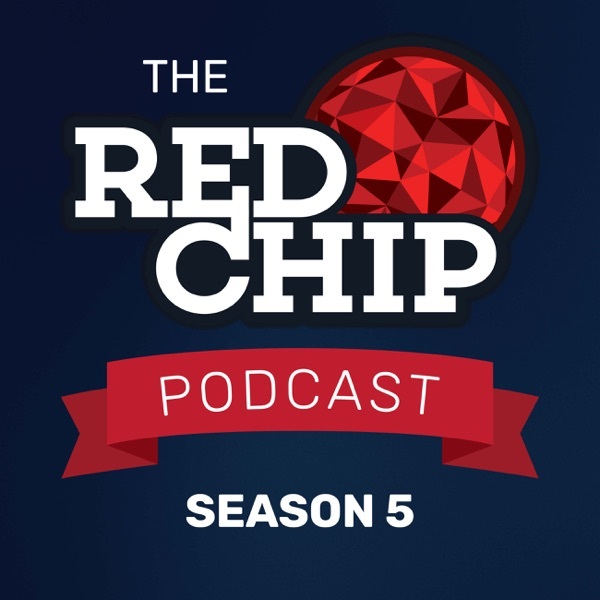 In one of the most value-packed episodes of the Red Chip Poker podcast to date, Adam 'w34z3l' Jones breaks down strategies and tactics you can use in each of five common preflop spots. You're going to encounter these spots in practically every session you play, and Jones breaks down dozens of specific considerations and tactics for each spot. This episode is an audio excerpt from a training video included with CORE, Red Chip Poker's new poker strategy training experience, available at redchippoker.com/launch-core. Most of us aren't competing for a six-figure score at a televised final table, we're grinding out the daily tournaments in our local poker rooms and online. Red Chipper Nick Graphia is one such tournament grinder, and he drops by the podcast this week to talk about how he used our training material to hone his game into some great cashes. In this episode, you'll hear a down-to-earth story of modest tournament success the likes of which any of us could imagine achieving. How would a poker coach go about learning poker from scratch in today's environment? It's a fascinating question, and on this week's podcast, James 'SplitSuit' Sweeney answers by breaking down the four pillars of poker learning: Math, Tactics, Strategy and Mental Game. If you're not learning poker from scratch, it doesn't matter, there's something to be learned in this podcast for any player. Our first episode of 2018 is geared toward psyching you up for a great year of studying to win. Host Zac Shaw takes the helm and offers up some advice for finding your place in the poker ecosystem, so you can set poker goals for the new year that you will celebrate achieving this time next year. Why do you play? What resources do you have to study and play? Where do you want to go in poker? This episode is all about being honest with our leaks and limitations... something poker players often struggle with. Good luck in 2018! At year's end, lots of poker players are asking the question, "How do I pay taxes on my poker and cryptocurrency earnings?" Zak Zimbile from Kondler & Associates breaks down the ins and outs of doing just that in the most financially responsible way you can. This podcast is pure gold for anyone who scored in poker or Bitcoin/cryptocurrency this year and is facing tax time with a big question mark over their earnings. Peter Clarke literally wrote the book on 6-max strategy (The Grinder's Manual) and now he's back with a new book, 100 Hands. It's just as it sounds -- 100 hands of 6-max poker, analyzed in depth as if Clarke was coaching you through each spot. And that's exactly what we do in this week's podcast: We review a random hand from the book and focus on giving listeners the skills to do their own strategic analysis at home. Robert Dewberry is a poker vlogger and aspiring Zen master of the game. He joined us to provide his unique perspective on the life of a winning player. Our conversation touches on strategy, studying, and the connections between winning at poker and winning at life. Hear musings of the Monk on this week's podcast. Do you understand how frequencies work in poker? Years ago, Ed Miller's classic training text Poker's 1% heavily impacted the poker strategy scene with its unique approach to exploiting the common frequency-based errors of opponents in live cash games. This winning strategy endures because players are still not exploiting frequency leaks in their opponents as often as they should be. This week, James "SplitSuit" Sweeney breaks apart the flawed strategies of unstudied players who ignore frequencies to their own detriment. Robbie Strazynski is a man about the poker industry, known widely for his thought-provoking poker productions such as Cardplayer Lifestyle and the Top Pair podcast. This week, we go behind the scenes with Strazynski to gain a unique perspective on professional poker and what it takes to make it in this game. He shares his strategic insights and reflections on many years in the orbit of the game's brightest stars. The game of poker is quite profound when you really think about it. Jerry 'Imperator' Monaco is one such deep thinker who has a wealth of insight into the game's many philosophical underpinnings. He's a poker polymath who has earned a reputation in the Red Chip Poker forum as having a unique and fascinating spin on strategy and the game as a whole. Get a new perspective on poker in this week's podcast. There are few better ways to develop poker skills than to drill through tricky spots away from the table with a poker strategy workbook. James 'SplitSuit' Sweeney has authored several such workbooks, and he joins us on this week's podcast to give a behind-the-scenes look at how they come together, as well as tips for getting the most out of them. You'll find strategy workbooks to be invaluable in gaining experience and intuition, as well as a comparatively cheap way to make mistakes before you deal with the spots you study off-table in real life with real stacks. When it comes to poker tells, there are few on this Earth more knowledgable than Blake Eastman. It's not just that he's dedicated his life to the serious scientific study of nonverbal and verbal tells in poker. It's not just that he's an accomplished player in his own right. Eastman, with his Beyond Tells training site, has armed hundreds of poker players with a serious edge over their competition when it comes to reading live tells. He's on the podcast this week to announce the exciting evolution of his Beyond Tells research: the largest study ever on the behavior of poker players. Normally, 986th place is not the greatest finish in an MTT, but when you're talking about the biggest live tournament of the year, it's quite a feat. Red Chip Poker PRO member Keith Christopher drops by this week to discuss his deep run in the 2017 WSOP Colossus. What did he study and how did he apply it to outlast 17,000 other players and cash in this mammoth field? He shares his insight on another episode exploring the deep tournament runs of our most dedicated members. Poker's more fun when the pot's split between the high hand and the low hand, and perhaps more profitable too! Greg Vail, the newest addition to our Red Chip Poker coach roster, drops by this week to share his enthusiasm for Omaha 8-or-Better and Big O, two of the most popular split pot games being spread these days. Hear Vail break down the basics of how these games work, the common leaks you need to plug and exploit, and the strategies you need to adjust your hold 'em knowledge to compete in a split pot environment. When we first sit down at the table, how do we gather as much information about how our opponents are playing as quickly as possible? This is a question you'll ask in every session you play, and every time a new player sits down. In this episode, James 'SplitSuit' Sweeney dives deep into how to read opponents and their actions for answers. He discusses how to profile players, from their appearance and demeanor all the way to their betting frequencies and sizing. We couldn't be more excited to bring you this week's episode, because Doug Hull is here to discuss his upcoming new book, More Poker Plays You Can Use. The sequel to Hull's acclaimed debut as a solo poker strategy author is a literal wealth of information that low-stakes live cash players will use to dominate games for years to come. The book is based on Hull's years of experience grinding $1/$2 games and analyzing the mathematics of poker strategy, even developing his own software release (Flop Falcon) to help players build flop intuition. Don't miss this exciting preview with one of poker's most respected strategists and authors. Mark Rumbaugh had one heck of a summer. He finished first in two local $110 tourneys vs. smaller fields. Then, with a profitable poker wind at his back, he traveled to the World Series of Poker in Las Vegas and did not disappoint his bankroll. He ran deep again and again, nabbing three cashes in the four events he played: 295th/2020 in the WSOP $1K, 24th/1368 in Planet Hollywood's $600 Goliath, and 208th/2320 in the Wynn $1100 classic. Hear how he studied his way to tournament success this summer on the podcast this week. Stack-to-pot ratio, commonly known as SPR, is a fundamental poker concept every winning player needs to understand. This week, James 'SplitSuit' Sweeney is on the podcast to explain why the size of the effective stack relative to the size of the pot demands your full attention. If you're new to SPR, this episode is going to transform your game. If you're already familiar, there's value for you here in refreshing your understanding, because SPR is something you will use in basically every pot you play. When Black Friday hit on April 15, 2011, Kristin Wilson sprang into action, using her unique skill set to start helping online poker pros in the US relocate to countries more hospitable to poker, like Canada and Costa Rica. Several years later, she is still at it, having relocated thousands of players. She helps with everything from finding an apartment to moving, customs, establishing bank accounts other important financial arrangements, and a host of other deceivingly complex aspects of moving to a foreign country as a professional online poker player. Get an inside look on how poker relocation is done on this week's podcast. What goes on behind the scenes from a poker dealer's perspective? Doug Hull interviews his friend Nathan on this week's podcast bring you insights from the lifestyle of top dealer in Las Vegas. Nathan isn't just an in-demand dealer, he's also a semi-pro player. He shares an unfiltered view of the ups and downs of life dealing the biggest games in Vegas all the way down to $1/$2. Join us to get a view poker players rarely get, and are sure to appreciate. We welcome Dustin 'Oblioo' Goldklang on the podcast for his first appearance, and the subject is pot odds, equity and equity realization. These are fundamental concepts every poker player must know, and many players are familiar with. Whether you're new to the game or have these ideas under your belt, there's value to be had with Goldklang's detailed breakdown of how odds and equity factor in to a winning poker strategy. For a perspective on universal poker concepts from a coach and pro, don't miss this episode. Range advantage is a key concept in poker strategy, and two of the game's great thinkers introduce the idea to our listeners on this week's podcast. Christian Soto and Doug Hull -- both Red Chip Poker founders, authors, coaches and pro players -- talk about range advantage in a way that should be accessible for any level of player. Understanding who has range advantage and what that means is a modern poker must in terms of skills you need under your belt. Listen to Soto and Hull use hand examples to illustrate range advantage for players eager to know more on the subject. Avoiding psychological traps in poker is a required component of a winning strategy. In our search for tactics we often overlook mental game to our peril. Dr. Tricia Cardner is on the podcast this week to help you steer clear of common mental game leaks that have ruined scores of players before you. Don't be one of them. Listen close and take heed to the good doctor's advice. GTO. Three letters that every poker player needs to know in the modern poker world. You may have heard of game theory optimal play, you may even comprehend what it is on a basic level. But have you integrated it into your game? That's the question and Adam Jones, also known as 'W34z3l', is on the podcast this week to discuss. He helps people understand how game theory optimal fundamentals work, why they're worth learning, where they can generate profit in your game and this isn't just for high stakes players. Here's the do's and don'ts of applying GTO strategies to your small stakes poker game. Knowing how to play with 30BB or less is crucial for winning tournaments. You might not find yourself in this spot all that often in cash games, but you will commonly find yourself short-stacked on your journey to the final table. On this week's podcast, accomplished tournament player and coach Jordan Young sits down with Christian Soto to discuss playing with 30BB or less in MTTs. Doug Hull coaches many players, and he finds that while most students come to him with a solid pre-flop strategy, their post-flop skills need serious work, particularly around c-betting. Far too many players are c-betting flops close to 100% of the time. In this episode, Hull outlines the reasons why this is a losing strategy, how to a adjust to a winning strategy, and how to exploit other players who are c-betting too many flops. Matt Berkey has amassed millions in tournament winnings. He plays high stakes cash so competitively, some games stopped inviting him. We're lucky to speak with him this week about his training method and style of play. Like Red Chip Poker co-founder Christian Soto, with whom he closely collaborates, Berkey is a fan of challenging conventional poker wisdom, and exploiting entire populations of players by getting inside their heads. Microstakes players dream of moving up to higher levels online, where serious money can be made. But how do you rise from 25NL to 200NL? Mike Gano has done it, and he's on the podcast this week giving specific strategies for moving up in online poker. How do you build a bankroll as a poker player? Should bankroll even matter to you? And if it does, how do you manage to grow it and avoid going bust? Seasoned live player and coach Doug Hull is on the podcast this week to answer all your questions on bankroll management. Bet sizing is your friend in poker. But "always bet the same amount" has become somewhat ingrained as a stratagem for many players. In this episode, James "SplitSuit" Sweeney responds to the question "Should I Always Use the Same Bet Size?" to explain why deviation is sometimes very important. Legendary poker player, author and coach Tommy Angelo joins us this week for a discussion about his new book, Painless Poker. The book is focused on mental game and dealing with pain in poker, using an imaginary poker clinic featuring characters embodying seven archetypes of poker players. Inspired by a hand history that's almost too painful to review, Angelo's insight into dealing with pain transcends poker and delivers real life lessons. Today, professional poker player Ryan Schnabel is a core member of the Red Chip Poker community. But his story stretches back to the early days of online poker, where he quickly rose in the ranks to playing $50/$100 limit versus household names in poker. He learned no limit, became a Supernova Elite and crushed online tournaments, and then was crushed when Black Friday hit. Through struggles on and off the felt, his dedication to the game never wavered, and today you'll find him grinding live games at a healthy profit. This is his story. The triple barrel bluff is one of the most feared moves in poker. They're feared by players that face them, and they're feared by many players who are too intimidated or uninformed to make them. On this week's podcast, Mike Gano breaks down the myriad strategic concepts that come together to make emptying the clip on the river a profitable move. Listen up and you'll know when and how players are triple barrel bluffing to their advantage. Poker room promotions like bad beat jackpots, high hand bonuses, and time-based free-rolls bring locals and tourists alike in to fill seats and generate action. And if you've ever sat in these games, you know players are constantly talking about them, and adjusting their play, often in counterintuitive ways. How do we adjust strategically, if at all? Doug Hull is on the podcast this week to break it down. Aggression is one of poker's most powerful tools for profit. But with great power comes great responsibility, and as we add more aggression into our game, we'll often be tempted to use it too often or in the wrong spots. In this episode, host Zac Shaw gets coached by James "SplitSuit" Sweeney on ways to tame the over-aggressive tendencies causing a recent downswing. And Sweeney shares a bit about his own struggles with tempering aggression in his poker career development. Aggressive poker is winning poker. In this episode, join coach & co-founder James "SplitSuit" Sweeney and host Zac Shaw as they discuss how they integrated more and more aggression into their games, with profitable results. SplitSuit shares his personal story as an online player grinding his way up the stakes, while Shaw relates his past year studying aggression to build a bigger win rate at Live $1/$2 NL. If you're looking to win bigger by understanding 3-betting, barreling, bluffing and more, this is a must-listen. People don't enter the card room to make successful c-bets. They come to win stacks. And that happens when there are flop fireworks — both players hit with strong hands and go to war. This week, Doug Hull discusses how he developed and used Flop Falcon to analyze these spots to find an extra edge.